Google Home vs Amazon Echo: Which is better for smart home control? Home Smart Home Google Home vs Amazon Echo: Which is better for smart home control? 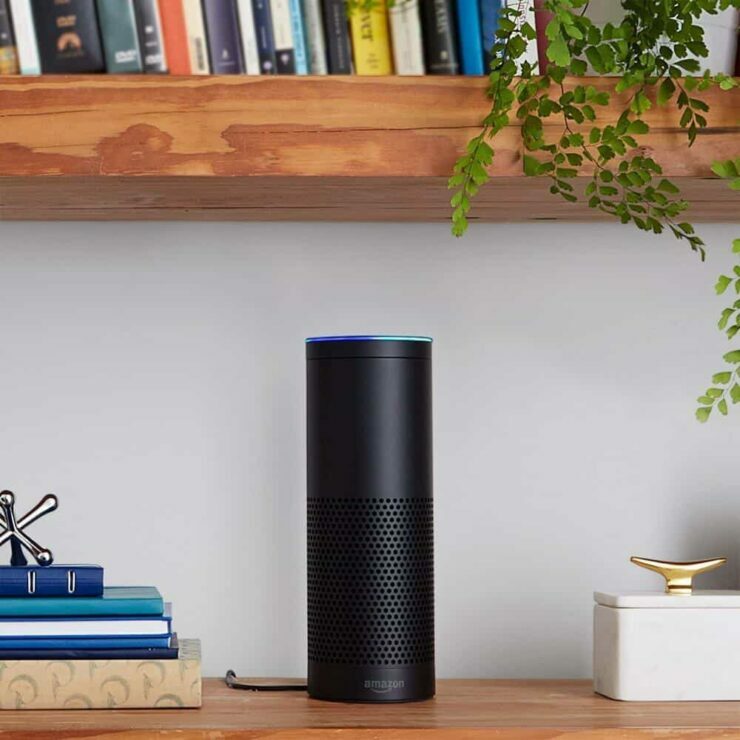 During its lead of more than a year, Amazon had a chance to broaden its line of Echo products. The Echo Dot comes in a very small form factor, and is very useful for having smaller cheaper devices scattered throughout your home. Thus, you can have voice access from any room you want. Its price is substantially less than both the Echo, and the Google Home. Amazon has also released the Echo Show, a device with a built in display, offering the ability to play video, and show relevant information which need not be delivered by voice. While Google has yet to announce any new plans for Google Home hardware, They have released a Google Home SDK. This opens up the possibility of third parties getting in on the development, and releasing their own hardware compatible with Google Home. Clearly, with the broad offerings made by Amazon, the Echo currently takes the lead in hardware when comparing the Google Home vs Amazon Echo. When Google Home launched, compatibility with smart home devices was quite poor, however nearly a year later, the gap has closed significantly between Home and Echo. Home now supports nearly all of the same brands as Amazon Echo, and even manages to shine in a few places. If you’re looking into rigging your home with a fabulous, and convenient array of interconnected devices, no single tool is more important than IFTTT (If This Then That,) Interestingly, Google Home has managed to beat out the Amazon Echo in having more flexible command wording, and more convenient IFTTT integration. For example, with Home, you can simply say a keyphrase, and the Home Assistant will execute the command associated with it. With Echo however, you’ll first need to say “trigger” and then the keyphrase. This may seem like a small detail, but in practical use, the Home feels much more natural. Google wins this one, with the assumption Home will support the devices you’re trying to control with it. Perhaps you dream of a house with interconnected speakers, all harmoniously synched together through the magic of a digital assistant. Well, that dream may be a bit harder to realize if you're looking at using the Amazon Echo. While complex hardware workarounds exist, the fact remains that Echo is unable to sync an audio stream over multiple Bluetooth devices. When debating between the Google Home vs Amazon Echo, music lovers should consider this limitation of the Echo. Though Bluetooth support would be nice, it's hard to fault Google with supporting their own ecosystem. On top of that, they've managed to do a very good job of it, so this round goes to Google Home. So you have this fancy digital assistant for your smart home, but what else can it do besides controlling your home, and how well does it do it? At over 10,000 skills (apps for the Echo), the Echo is awash with functionality and options to tailor your experience, While Google relies on integration with it's already stellar ecosystem of popular products. Search is of course an area that Google is expected to excel in, and both the Home and Echo make for good search engines. The Google Home Assistant also lets you search more naturally. If you Ask the Home Assistant, “How tall is the Empire State Building?” You can follow up your search by simply saying, “When was it built?” Google Home will associate that with the previous subject, and infer that you are asking about the Empire State Building. With Amazon Echo, you'll need to specify the subject each time. Building on the more natural language feel of Google Home, multi-user support is also handled in a very natural way. With Google Home multiple users are actually recognized by voice. So a user need not switch to any specialized modes or other such cumbersome methods, they simply talk, and Google Home will know who is speaking. Amazon Echo will allow multiple users, but you will need to tell the device to switch to your profile when you want to use it. Unfortunately, the other users on the device will still use the original profile holder's Amazon account, and payment information when making purchases through the Echo, so do be mindful of that if you are thinking of getting an Echo in a multi-user household. Overall, with the more natural feel, and voice recognized users, Google takes this one home. Ultimately, Google has made impressive strides in improving the Google Home, and have rapidly caught up to, and in some cases surpassed Amazon. In the end though, the slightly more limited compatibility of the Google Home may make it impossible for some users to use with their existing setups. This is far from a done deal in this day and age of constant updates to hardware. But for the moment, go with the echo if you have some devices in mind which aren’t yet supported by Home. Otherwise, it would appear that Google Home is currently in the lead. Your turn: Which do you recommend? 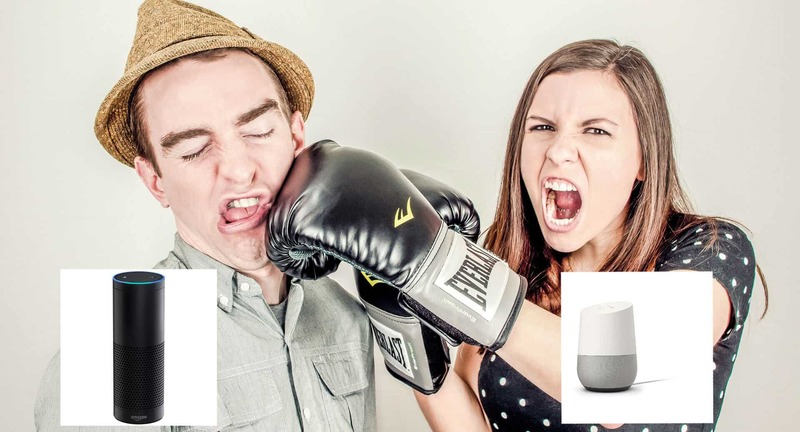 The Google Home or Amazon Echo?